I often get asked by people what type of milk they should use in their smoothies or as a milk replacement in their diet. 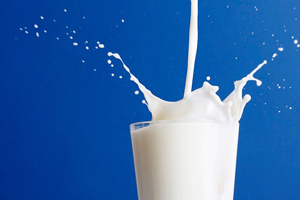 There are so many choices for people nowadays – the plethora of different types of cow’s milk – as well as goat’s milk, oat milk, rice milk, soy milk, almond milk, powdered milk – there are so many products to choose from how do you know which one to include in a healthy diet?? One of the first things that I teach people about changing to a whole foods diet, is that if the food is not in the form as nature intended, then it is not a good practice to consume it. Every time that human’s play around and alter food they seem to get it wrong. I often have people proudly proclaim that they are “very good at reading labels on food” – and my reply is “why do you need to eat anything that comes out of a packet for?”. If we are looking for optimal, vibrant health, then we need to eat living, vibrant whole food – and that is not found in a packet of processed pasteurised plant milks, nor in pasteurised homogenised animal milks. All of these are dead foods that don’t supply the body with the nourishment that it needs for outstanding health. Options. If you like to use animal milks, then my suggestion is to only use totally raw, unpasteurised unhomogenised milk the way it comes straight from the animal. And even better than plain raw milk, is fermented raw milk. I personally drink raw Goat’s milk kefir daily to nourish my digestive system with healthy strains of microflora and beneficial yeast, which enhance my digestion, immune system, mood and overall well-being. It is a very simple thing to make, and fermented food is an essential part of a holistic lifestyle, that is often found in other cultures, but is missing in western diets. You can also make fresh nut and seed milks simply by soaking whichever nuts and seeds you like, blending, and then squeezing them through muslin to create a fresh milk. The pulp can be used in many raw food dessert recipes or put into tahini balls. Almond milk is absolutely delicious done this way, and I’m sure I could serve it to guests on ice and they wouldn’t be able to tell it wasn’t Baileys! Below is a recipe for a Superfood Nut Milk Elixir using Almond Milk, I show you how to make the milk in this video as well – Give it a go it is absolutely delicious! Another way is to just not use any milks at all and make green smoothies as outlined in Victoria Boutenko’s book Green For Life. Put any green leafy vegies, such as cos lettuce, kale, spinach, celery etc in a blender with one piece of fruit and water and blend. They taste great and are a simple and easy way to increase the amount of dark leafy greens in your diet. In a nutshell, avoid all supermarket processed milks and move toward whole raw milks as nature intended. and the dairy industry is an extremely cruel industry causing untold suffering to calves and their mothers. Cows milk is also one of the leading causes of chronic disease. I Love you and your recipes. Love your website. Thanks Giulia! Appreciate your feedback!